HDTV Supplys Wolfpack 1x7 Network HDMI Matrix Switcher is an easy to use HDMI video switching and distribution system that allows the design of multi-source to multi-video display systems using standard Ethernet cables. Because it is a matrix switcher, it allows any input to be routed to any output; or the same input to be routed to all outputs, or any combination. It is controlled by a PC or MAC via its LAN port with the supplied Browser Based WEB GUI and optionally via a WEB GUI on a cascaded wireless Router. NOTE 1: Technically this is not a Network HDMI Matrix Switch, it is a Network HDMI Splitter. We have included it for customers who may want to add one or more inputs (Transmitters) in the future and upgrade to a Network HDMI Matrix Switch. 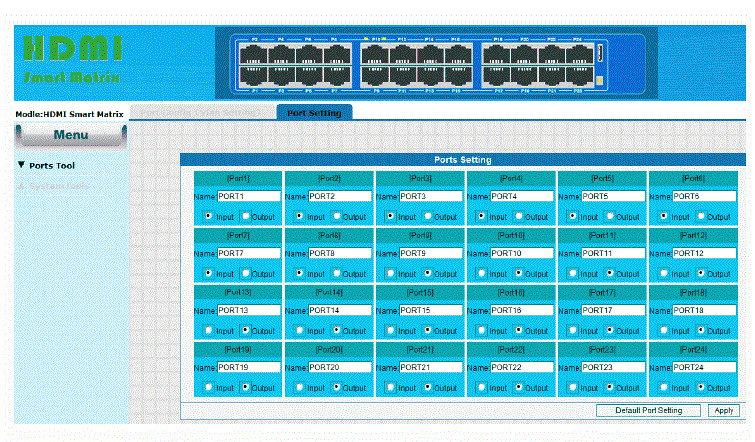 Our Wolfpack 1x7 Network HDMI Matrix Switch is a pre-configured matrix switch using 1 - Transmitter and 7 - Receivers and our 24 - port Ethernet Switch. It uses CAT 5e/6 cables and a Gigabit Ethernet LAN switch with MJPEG techniques and an industry standard IP protocol to deliver 1080p video from sources that are 300 feet away from the Ethernet switch and another 300 feet away to the TVs. It also allows the system to grow in the field as its design allows you the flexibility of adding more video sources or more displays to the system based upon the number of unused Ethernet ports available. 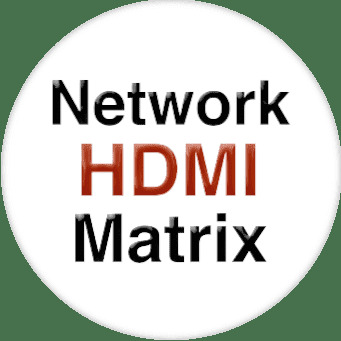 NOTE 2: This Network Matrix comes with HDMI Transmitters and HDMI Receivers and each of them needs the IP address to be setup based upon your needs. The MAC address also needs to be setup based upon your unique system configuration. Please see the above VIDEOS on how to do it. Why not buy this 1x7 Network HDMI Matrix Switcher today? The base model of this 1x7 Network HDMI Matrix Switch is at WolfPack Network HDMI Matrix Switchers. 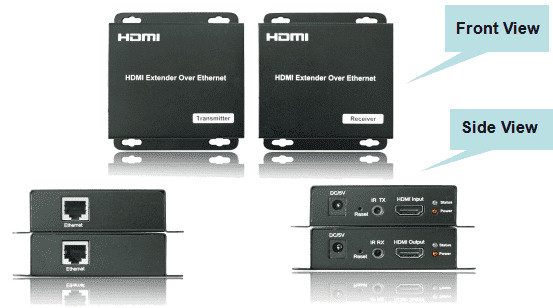 HDTV Supply includes a 1 Year Limited Warranty on this 1x7 HDMI Matrix Switcher. The warranty states that (a) its products will perform substantially in accordance with the accompanying written materials for a period of 1 year from the date of receipt and (b) that the Product will be free from defects in materials & workmanship under normal use & service for a period of 1 year. In order to get a warranty replacement for a defective item, HDTV Supplys Support Team will verify the product is eligible for warranty. An RMA number will then be issued. Shipped replacements will be in like new conditions, tested and all components included. A 30-day RETURN also comes with this warranty.